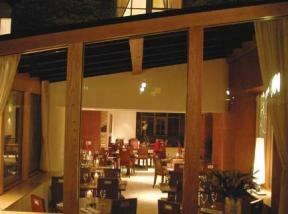 'Chippy', as it is known locally, is a busy market town on the highest point in the Oxfordshire Cotswolds. The area was once a major centre in the wool trade which brought prosperity to the Cotswold region throughout the Middle Ages. 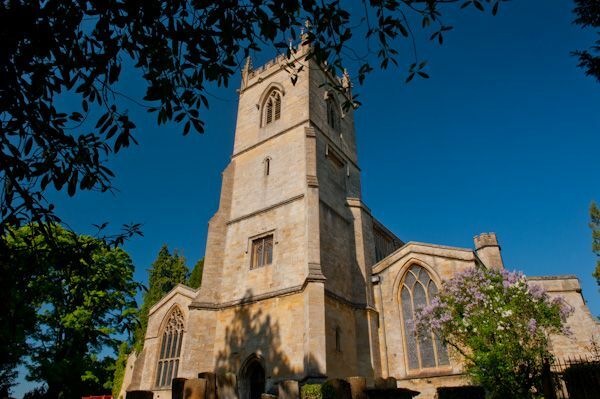 The impressive parish church of St Mary's is a reminder of the rich merchants who once called Chipping Norton home. The church was included in the popular book, England's Thousand Best Churches, by Simon Jenkins. 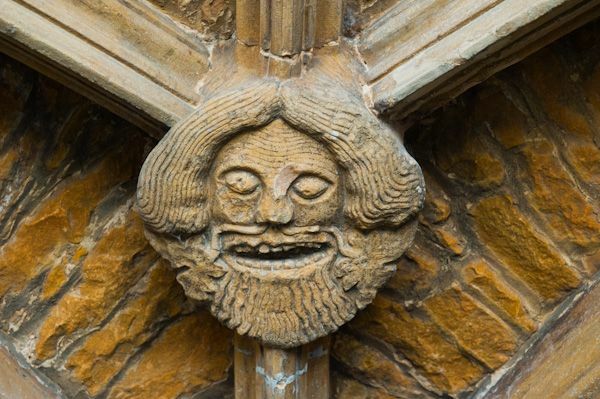 When you look up at the amazingly thin nave pillars or the carved faces on the porch vaulting, it is easy to understand why. 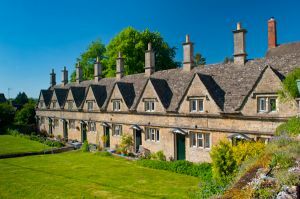 Like several other towns in the north Cotswolds, Chipping Norton is now a popular destination for antiques. The first written records of Chipping Norton come from the 9th century, but there is evidence of a much older prehistoric settlement. Chipping Norton is mentioned in the Domesday Book when it was called Nortone. There is no mention of a church, so we can assume that St Mary's not founded until the 12th century, sometime after a motte and bailey castle was constructed in what is now called Castle Banks to the north of the churchyard. Paltry foundations of the castle can still be seen. The church was originally dedicated to St Nicholas, and it was not until the 13th century that the current dedication was implemented. The first use of 'Chipping Norton' comes from a royal writ of 1244. The 'Chipping' part comes from the medieval term for market; an indication of Chipping Norton's growth as a major centre of the wool trade. This was one of the two major wool markets in the region - the other being Chipping Campden. The growing prosperity of the Cotswold wool trade in the Middle Ages is reflected in the size of the church and the number of other impressive medieval and Jacobean buildings in town. The Guildhall on Middle Row, which now houses the local council offices, dates to about 1450. The town continued to prosper in the 18th century when many of the buildings surrounding the market place were rebuilt in classical Georgian style. The most prominent of the buildings on the market place is the striking town hall, built in 1842 to replace an earlier hall. In this case, 'Cornish' does not refer to Cornwall, but to Henry Cornish, a successful businessman, and one of the first members of the Chipping Norton Corporation - a sort of town council, established in 1606 by royal charter. Cornish was a pious man, with a strong belief in giving charity to the needy. In 1640 Cornish founded a row of almshouses just above St Mary's church on Church Street, to provide housing for 8 poor widows. He also gave a dozen other cottages to be let at low rents. 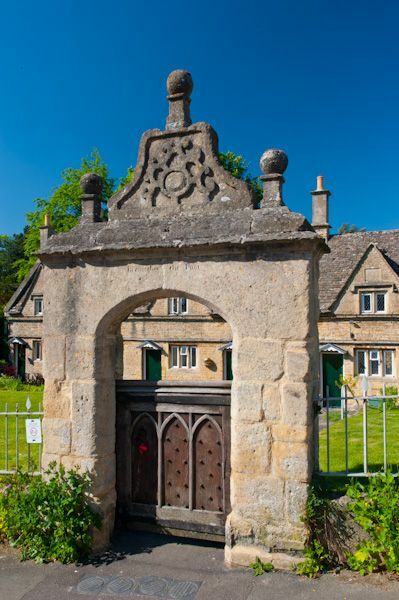 The almshouses are a local landmark, set back from the road and approached through a fanciful stone arch. Almost opposite the almshouses is a small blue plaque affixed to the corner of a cottage. This simple sign commemorates a tragic event; on 21 August 1942 8 men died in an aircraft accident near this spot. On the outskirts of town is one of the really iconic buildings in the Cotswolds; Bliss Tweed Mill, a Grade II listed late Victorian textile mill, with a striking chimney atop a dome. At first glance, it is easy to mistake Bliss Mill for a somewhat bizarre stately home, but it was designed in 1872 by George Woodhouse for William Bliss II, a successful mill owner. The mill was in operation, producing high-quality cloth, until 1980, and has since been converted to a rather unusual apartment block. It must, unfortunately, be said that the combination of the elongated chimney stack rising from a dome resembles nothing so much as a toilet plunger, but it really does grow on you after a while, and I actually find it quite pretty after driving past it a few dozen times! William Bliss left another lasting legacy in the form of long avenues of trees which line roads in three directions leading into town. Run by enthusiasts of the Chipping Norton Local History Society, this museum is housed in the Chipping Norton Co-operative Society Hall, built around 1880 and located facing the town hall steps. Hands-on displays date from the Roman period to the present day. Chipping Norton can be extremely busy at rush hour, situated as it is on a popular road junction. But there is free parking on the market square, and its a very pretty Cotswold town to explore on foot. The stately home of Chastleton House is just 4 miles away, and even closer is the mysterious stone circle known as the Rollright Stones. 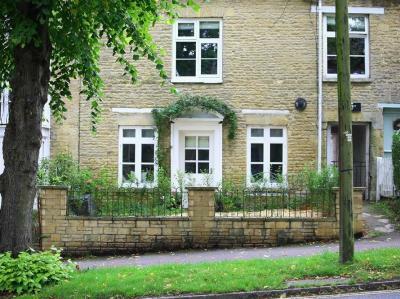 An end-terrace property resting within the centre of Chipping Norton. It houses three bedrooms and can sleep up to six people. This town house can be found in Chipping Norton, Oxfordshire and can sleep six people in three bedrooms.